Daddy Review: The main character, Orange Cat is down on her luck because she thinks dogs have all the fun until her owner reminds her of all the great traits cats have. This book has big, bright pictures which make the story easy to follow. 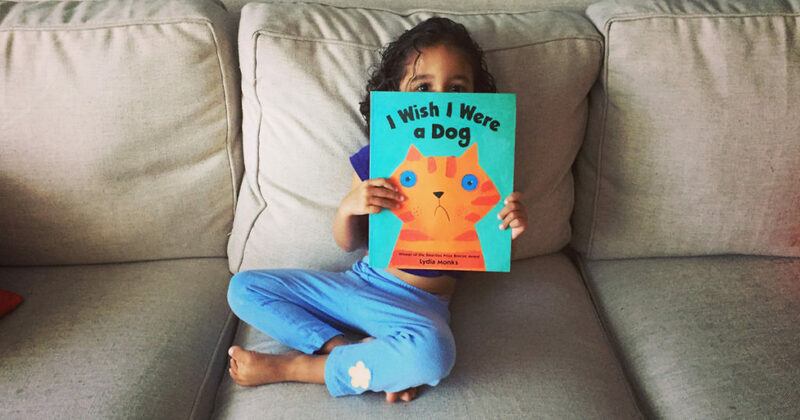 The 3-year old instantly empathized with Orange Cat and roots for her each time we read it. Also, we don’t know if the cat is a girl or a boy in the story, but the 3-year old said the cat must be a girl because “girls are smarter than boys.” I highly recommend this book. It’s a quick read—especially when the 3-year old requests “one more book” before bedtime. Moral of Story: Stop looking at what you don’t have, and start looking at what you do have! Everyone is special in his or her own way.